Even if you are not a David Bowie fan, you probably found it hard to avoid the news of his death on January 10, 2016, at the age of 69, and just days after the release of his last album, Black Star. From Brazil to Britain, from Australia to Germany, the tributes poured forth. 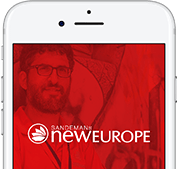 Even if you are not a deliberate Bowie fan, you are quite likely an accidental one – the artist who invented Ziggy Stardust, Aladdin Sane, the Thin White Duke and was in the Labyrinth – was chameleon-like in both looks and musical style. Who knew that ‘The Man Who Sold the World‘ was not by Nirvana? That the famous cover of ‘Dancing in the Street‘ was not just Mick Jagger? Or that the funky bassline of ‘Ice Ice Baby‘ was not written by Vanilla Ice, but taken from Bowie and Queen’s collaboration ‘Under Pressure‘? All of them great songs. All of them Bowie. 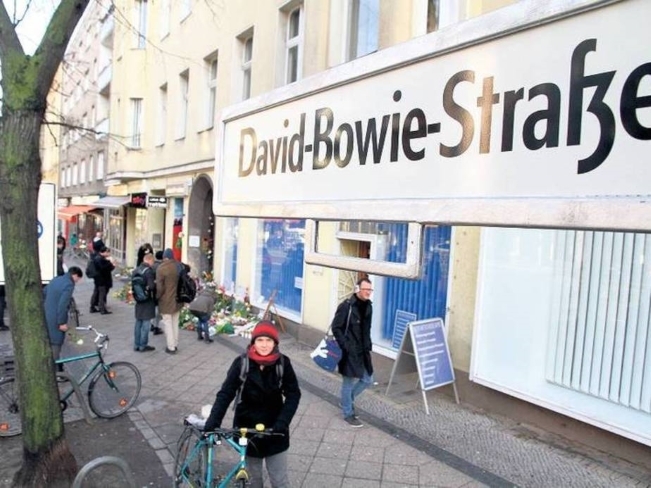 Bowie’s loss was felt particularly hard in Berlin. 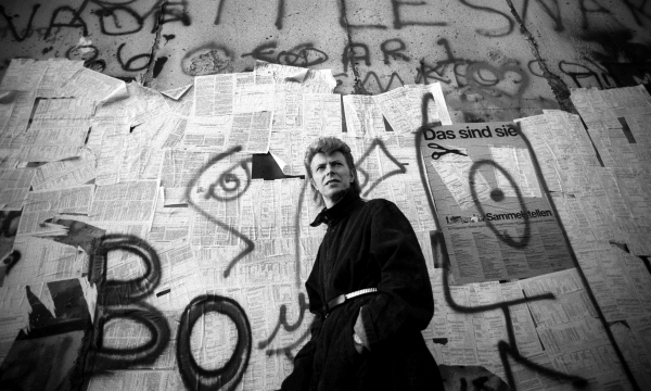 Bowie arrived in the city, still divided by the Berlin Wall, in 1976. The singer was attempting to escape a serious cocaine addiction that had led to such erratic behaviour as an attempted exorcism on a swimming pool. Bowie would stay, on and off, until the early 1980s and in Berlin would have one of his most productive artistic periods – in 1977 he released two albums, Low and Heroes, followed in 1979 by a third, Lodger. The three albums would become known as his Berlin Trilogy. Sporting teams and motivational speakers have thanked him for his effort ever since. 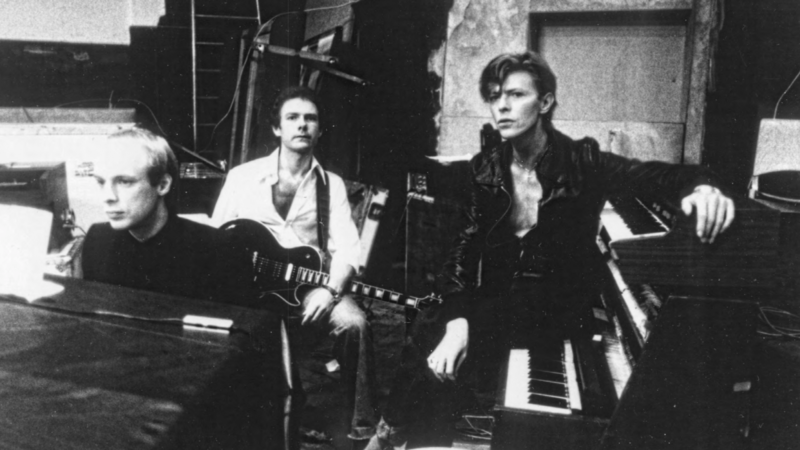 Even after he left, Bowie and Berlin remained indelibly linked. In 2013, Bowie released his 24th studio album, The Next Day. On it was the song Where are We Now, solely about Berlin. Its music video shows a disturbing conjoined twin puppet in front of images of the city in the 1970s, including of Bowie’s old apartment building in Schöneberg. A spontaneous, musical memorial occurred that night in the nearby bar, Café Neues Ufer, once frequented by Bowie and Iggy. Using a customer’s phone to provide a Bowie playlist, the bar soon ran out of beer as it became crowded with fans intent to ease the loss by screaming out Rebel Rebel and Changes.